The online retail sector enjoyed another record year, but that doesn't mean that everything went smoothly. Behind the scenes, Web Operations professionals are faced with the unique challenge of ensuring high availability and site responsiveness for frantic consumers, in a compressed holiday sales period. How did retailers fare under the intense pressure? What lessons can you learn to help you deliver optimal performance for your customers? What about for customers on smartphones and tablets? Join Keynote as we present a detailed analysis of web and mobile performance through this crucial period. Through this exploration of Keynote's Retail Performance Metrics, you'll learn lessons in delivering great user experience, as well as what to avoid. And see how the overall industry is trending in terms of performance. Courtney Nash from O'Reilly Media will be the moderator for what will surely be an informative and lively discussion. Ken Harker is a Senior Performance Consultant at Keynote Systems, were he leads the performance consulting practice for the mobile-optimized web. Ken works with enterprise customers in the banking, finance, insurance, retail, media, auto, and travel industries to help them improve the performance of their mobile web user experience. 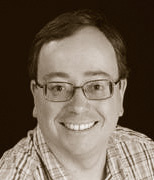 Ken has 13 years experience in the internet performance industry, including 9 years with Keynote Systems. Courtney Nash is an erstwhile academic neuroscientist who is still fascinated by the brain and how people learn just about anything. She's been known to teach people how to salsa dance, conduct psychology experiments, or even get air on a mountain bike. After many years of web geekery, she's returned to her brainy roots with the Head First series. When not working on books, Courtney can be found biking, hiking, skiing, and photographing the Cascade mountains near her home in Bellingham, Washington.